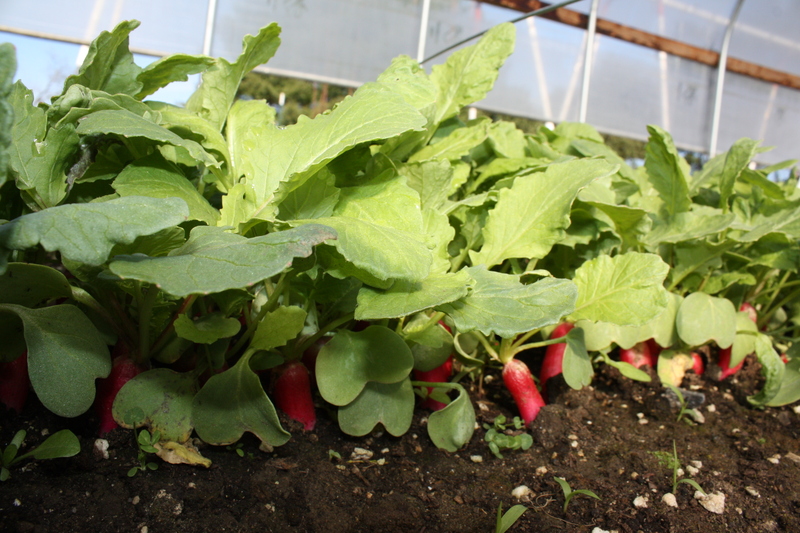 Tender French Breakfast radishes ready for harvest. 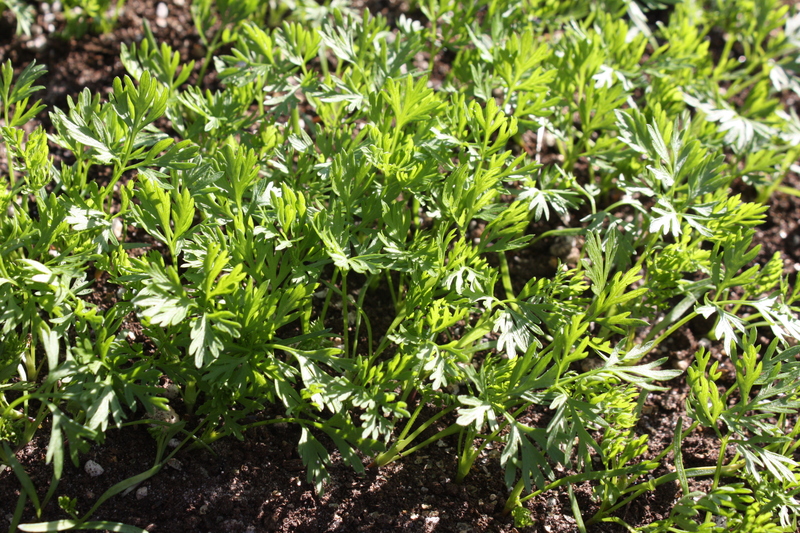 Carrots and more carrots and more carrots…..
Here’s what I did yesterday…. 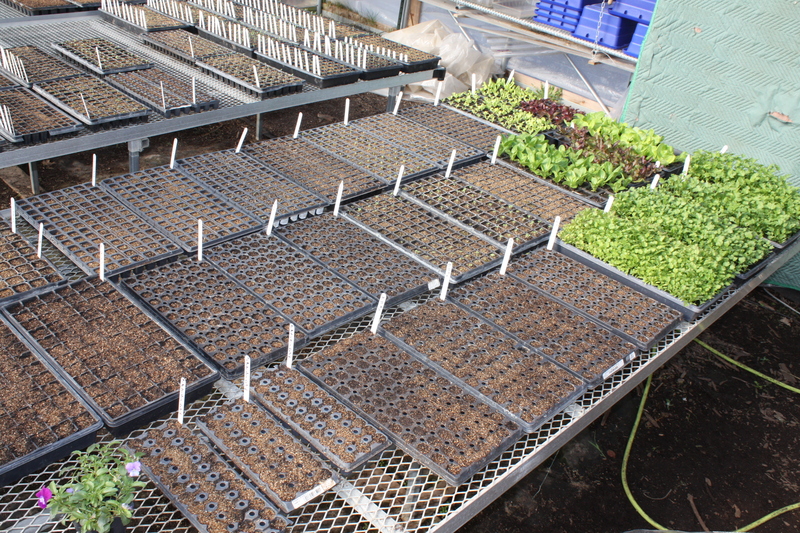 Seed starting is a daily thing around here….yesterday was the 3rd rotation of lettuces to be planted and tons of kohlrabi, cabbages, broccoli, and swiss chard for outside in the garden. 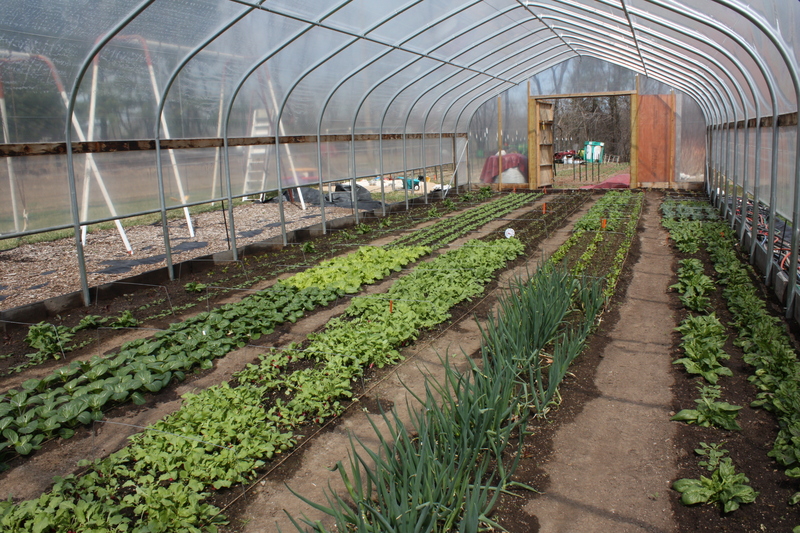 I also seeded in beets to transplant. We did it last year and were pleased with the results. 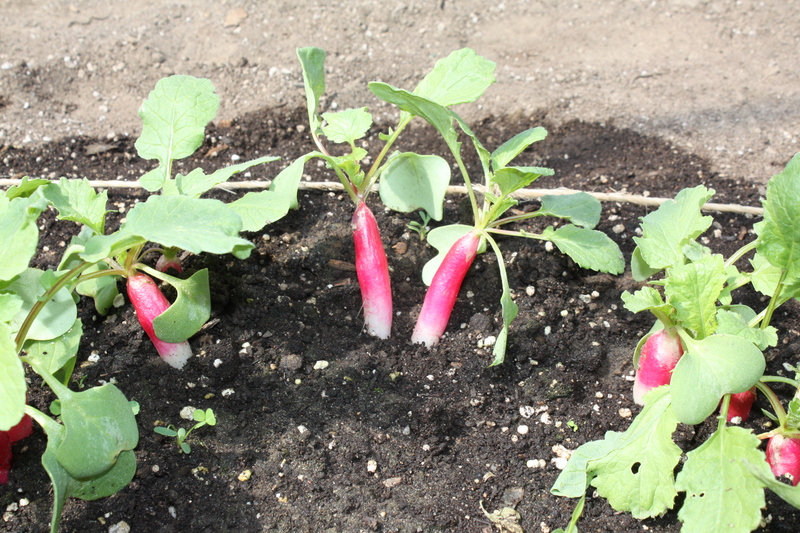 Gives us a 3 week jump on outdoor beets when we cannot plant the seed directly in the garden just yet. 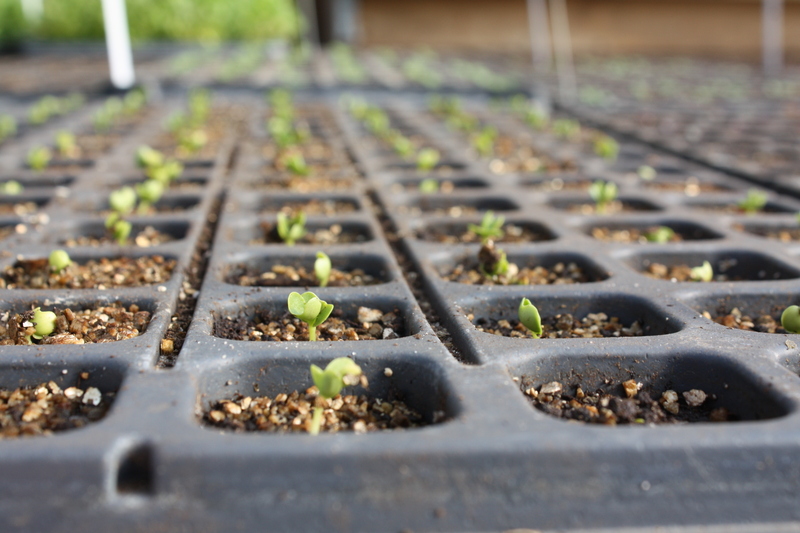 Every morning something new has sprouted….kale! 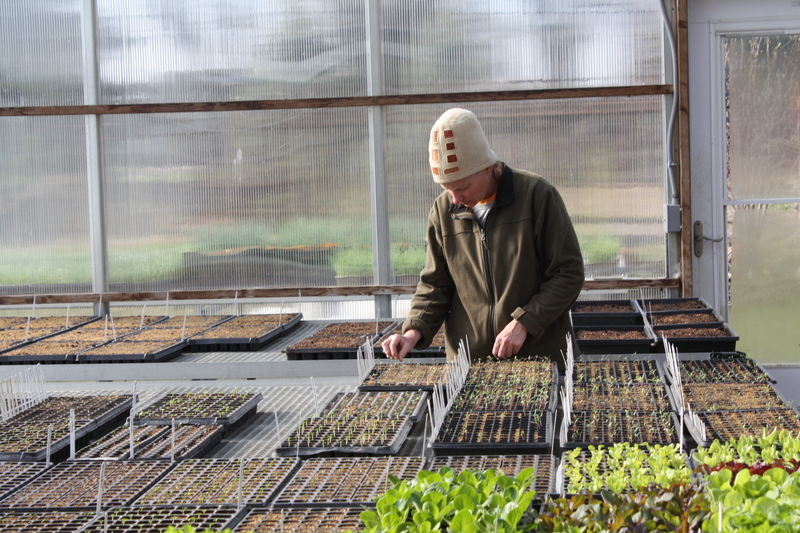 Checking on the little seedlings. 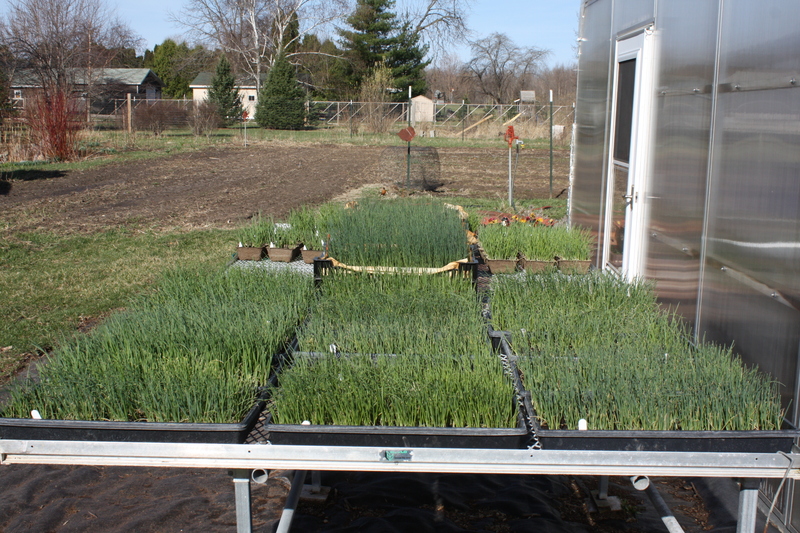 Onions and leeks and shallots hardening off outside and ready to be planted next week. SNACK PACK AND FULL AND STORAGE SHARES STILL AVAILABLE…..